The Chicago Buddhist Vihara Meditation Center & Healing Garden is a Sri Lankan Buddhist temple that practices the Theravada tradition. The temple was established in 2005 with the help of the Sri Lankan community in the Chicagoland area. Bhante Kondanna, the headmaster of the CBV, a student of Venerable Nayaka Theras of Colombo Gangarama Viharaya is conducting the services of the temple from its beginning. Since the beginning of the CBV, the temple has been giving its services to not only the Sri Lankan community, but also to all other companions who need our services. As one of the important members of the ‘Building Bridges’ CBV is doing a service to build friendship among other religious communities with other religious leaders. Bhante Kondañña is a Sri Lankan Buddhist Monk. He received his novice ordination in 1968, his monastic training in Colombo, Sri Lanka, and a BA in Buddhist Philosophy from University of Kelaniye also in Sri Lanka. In 1985, he came to USA to participate and also provide his helpful skills and services at the New York Buddhist Vihara. During that time, the dignified Kondanna began to attend classes at CUNY and now holds a BS in Social Work. Moreover in 1997, he obtained a MSW from Fordham University in New York. 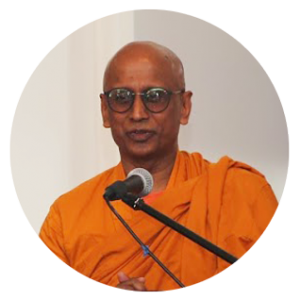 Bhante Kondanna believes that human beings should grow up having a spiritual foundation. He hopes that his contributions, experiences and philosophy enrich and enhance the lives of everyone here in the Chicagoland Area, and wherever he wishes to bring his proficiencies. Bhante Sumanawansa is a Sri Lankan Buddhist Monk. He received his novice ordination in 1978, his monastic training in Colombo, Sri Lanka, and a BA in Buddhist Philosophy from University of Kelaniye also in Sri Lanka. 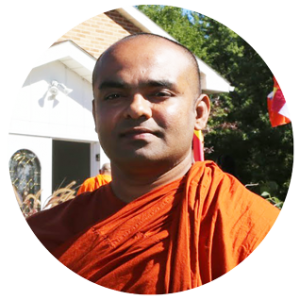 In 2004, he came to USA to participate and also provide his helpful skills and services at the Chicago Buddhist Vihara. Bhante Sarada is a Sri Lankan Buddhist Monk. 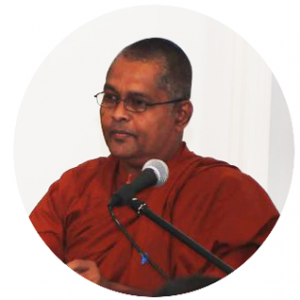 He received his novice ordination in 1993, his monastic training in Colombo, Sri Lanka, and a BA in Buddhist Philosophy and Pali from University of Kelaniye also in Sri Lanka. In 2017, he came to USA to participate and also provide his helpful skills and services at the Chicago Buddhist Vihara.